Staff who have a Time Entry Method of Clock In/Out will click the Clock-In button at the start of each work day, and the time will be recorded for them. 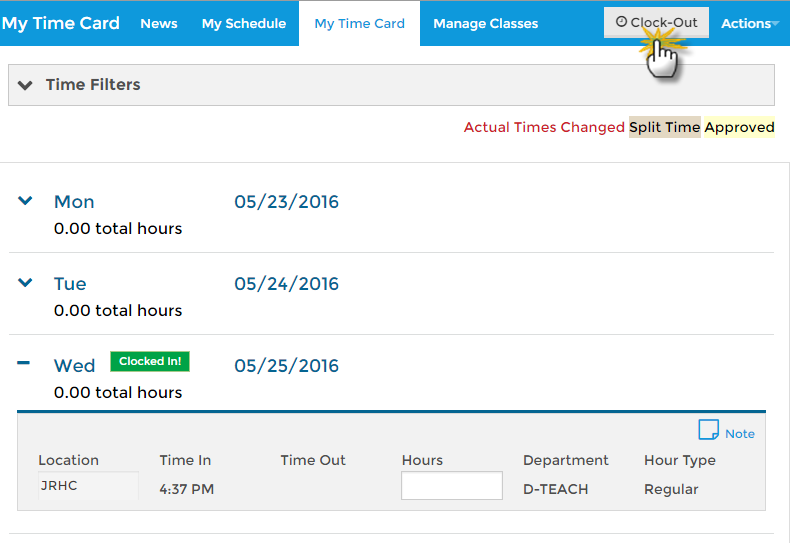 At the end of the day, the staff person will click the Clock-Out button to clock out for the day. The time will be recorded for them. If the staff person is set to Yes for the Can Split time between Departments? setting on the Portal Settings tab of their Staff record a Split link appears after clock-out. 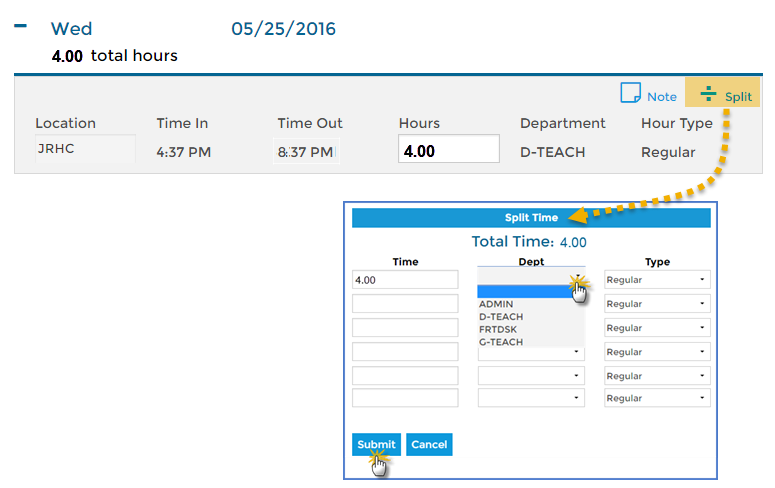 This allows the staff person to split out their total hours for the time entry between as many departments or locations as necessary. 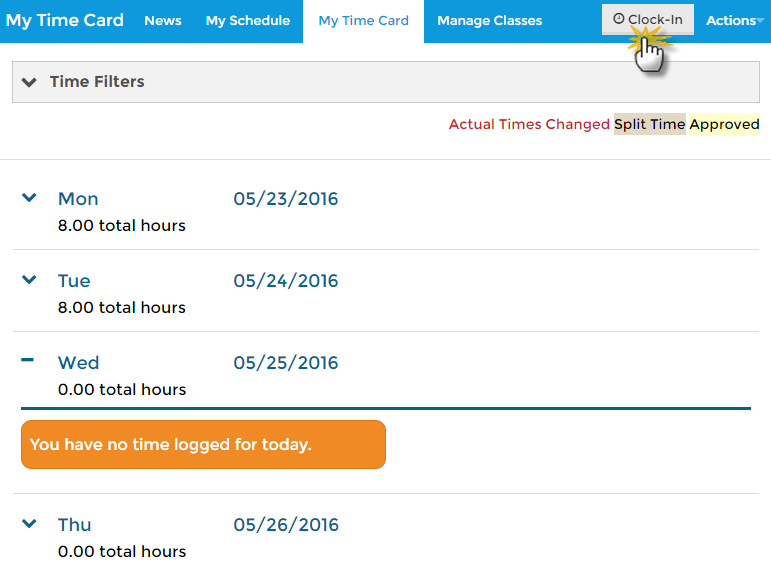 The split hours must add to the total hours for the time entry before the system will allow the split to be saved. 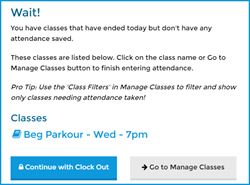 When a staff person's time entry method is Clock In/Out (and you have the Attendance feature activated) they will be alerted if they have classes at that location on that day with incomplete portal attendance. They will be given an option to go to the class and complete attendance or continue with Clock-Out.